Since 2000, Coast Roofing has been focused on providing top-notch roofing services to customers in the San Luis Obispo, CA area. With 18 years of experience, we take pride in offering top quality craftsmanship with affordable pricing. When you work with Coast Roofing, you can rest easy knowing that your roof will be taken care of efficiently and effectively. 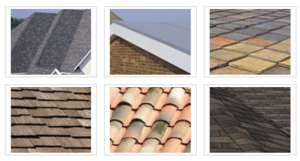 We are roofing experts who will get the job done right! We want you to have an outstanding experience at Coast Roofing. That is why we are deeply committed to providing our customers with superior, affordable roofing solutions with exceptional craftsmanship. We cater to your needs and create a unique plan of action so you receive the best possible service at the best possible price.